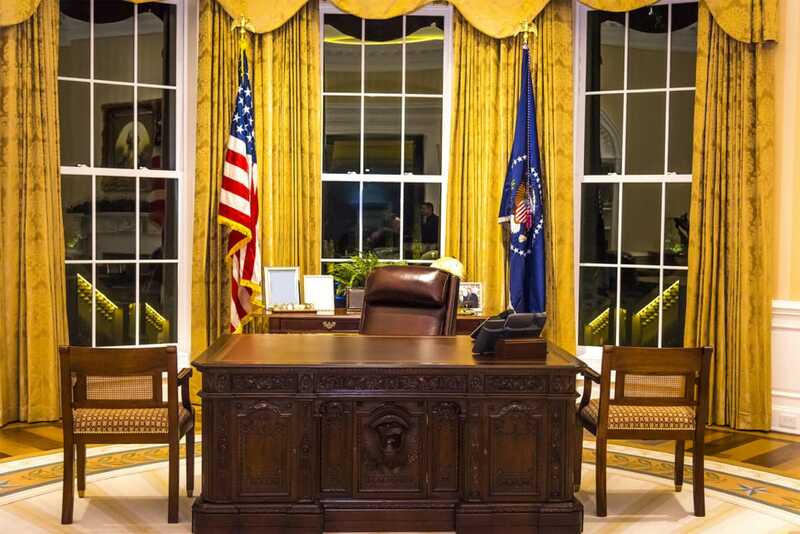 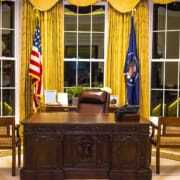 In this local replica of the world’s most famous office, it’s the floors that command respect. 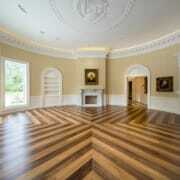 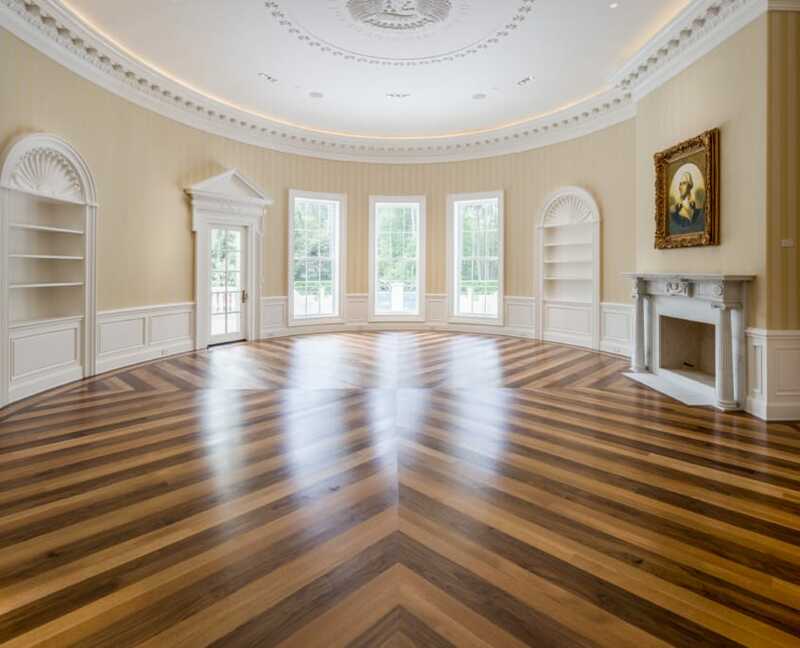 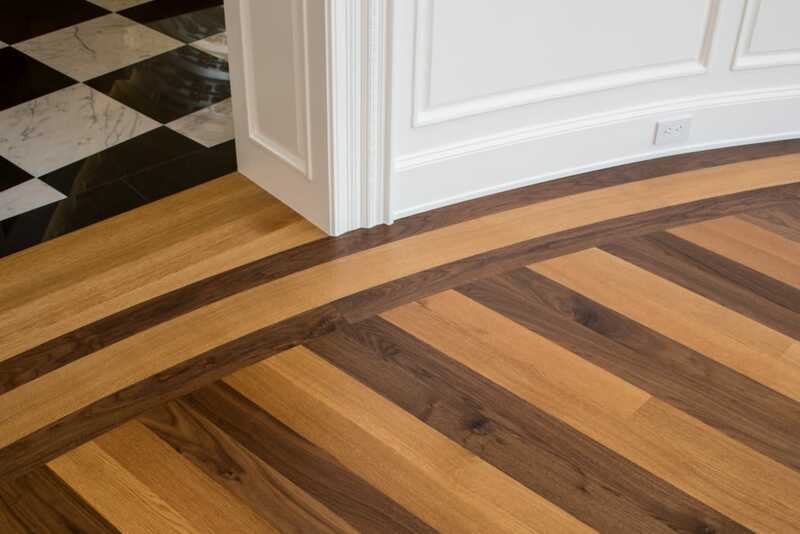 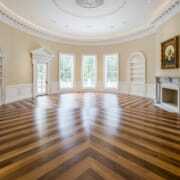 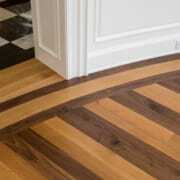 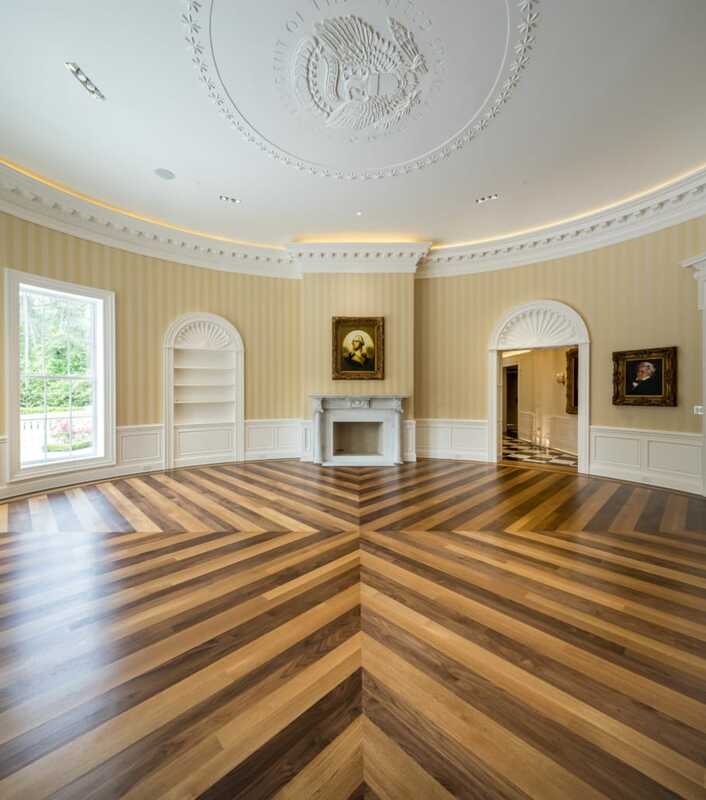 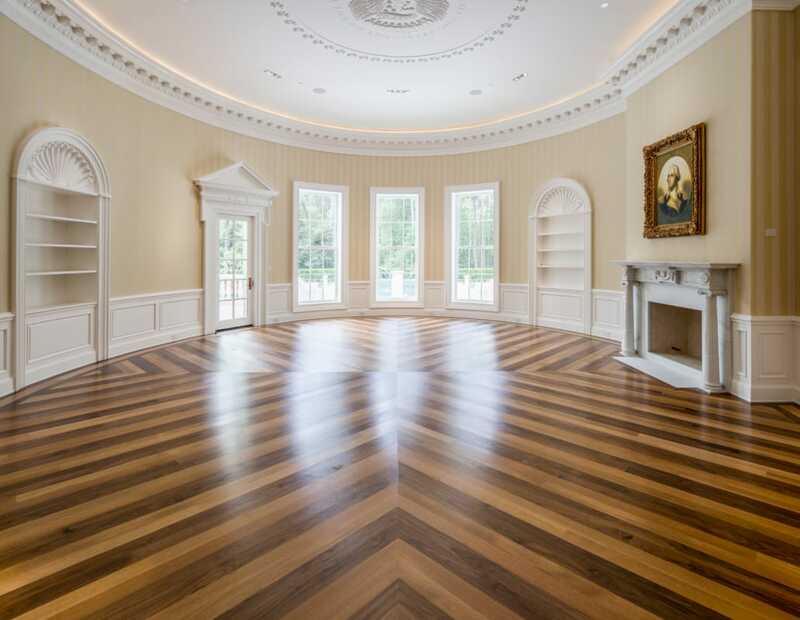 American Black Walnut and rift white oak planks are laid in four chevron patterns that emanate from the center of the room to its curved walls. 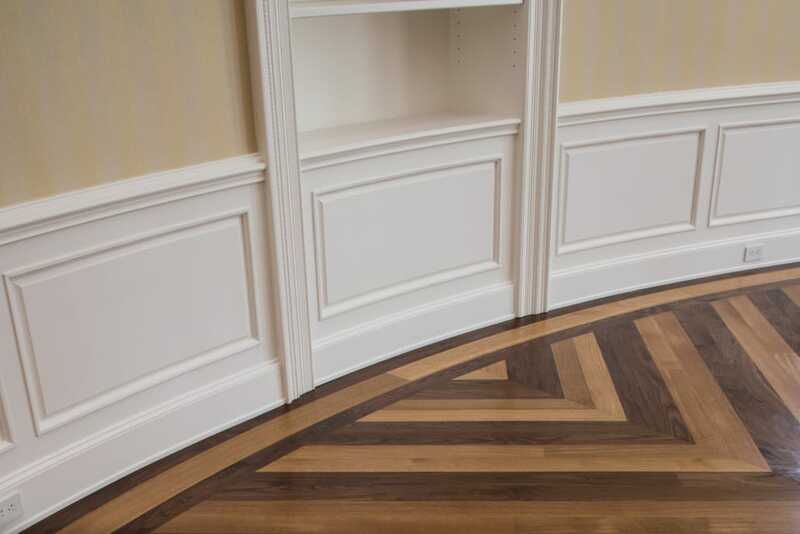 An exquisitely crafted bent border frames the dramatic pattern and emphasizes the room’s famously oval contour.